Atiku Abubakar, a former Vice President and candidate of the Peoples Democratic Party (PDP). "From the data in the 1st respondent’s (INEC’s) server…the true, actual and correct results” from “state to state computation” showed that Atiku polled a total of 18,356,732 votes to defeat Buhari whom they said scored 16,741,430 votes. 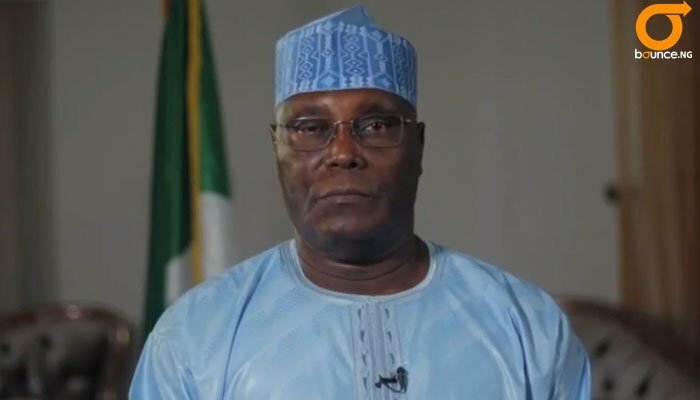 Some details of the petition filed on Monday by the Peoples Democratic Party and its presidential candidate in the February 23 election, Atiku Abubakar, to challenge the victory of President Muhammadu Buhari and his All Progressives Congress, emerged on Tuesday. The petition, which sought to rely on 50 sets of documents, was filed before the Presidential Election Petitions Tribunal in Abuja against the Independent National Electoral Commission, Buhari and the APC as the first to the third respondents, respectively. INEC had on February 27, 2019 declared that Buhari won the election with 15,191,847 votes to defeat Atiku, whom it said polled 11,262,978 votes. But the petitioners stated in their 139-page petition that “from the data in the 1st respondent’s (INEC’s) server…the true, actual and correct results” from “state to state computation” showed that Atiku polled a total of 18,356,732 votes to defeat Buhari whom they said scored 16,741,430 votes. By this, Atiku claims to have defeated Buhari with 1,615,302 votes. One of the five grounds of the petition also tends to resuscitate the allegation that Buhari was not qualified to run for the office of the President on the grounds that he did not possess the constitutional minimum qualification of a school certificate. The five grounds of the petition read, “The 2nd respondent (Buhari) was not duly elected by the majority of lawful votes cast at the election. “The election of the 2nd respondent is invalid by reason of corrupt practices. “The election of the 2nd Respondent is invalid by reason of non-compliance with the provisions of the Electoral Act, 2010 (as amended). “The 2nd respondent was at the time of the election not qualified to contest the said election.